The readings for today are Psalm 47, 147.1–12; Ezekiel 47.1–12; John 12.20–32. At Advent we reflect on the promise that a messiah who would come to reign as a glorious king but today’s Gospel reading turns our notions of glory upside down. True glory is found in costly, self-giving love. 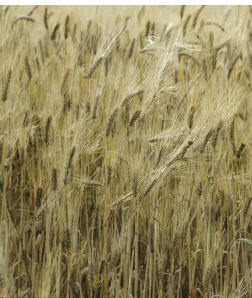 The triumph of Jesus is found not in his asserting his power but in his dying on a cross. His death brings life to many. Jesus calls his followers to a similar self-giving. Frankly, I find this difficult. I don’t much like the talk of hating one’s life. Yet I am sure that grasping, clinging, holding on to one’s life is the surest way to losing it. The life well-lived is the life given away in the service of God and others. Baptists (and others) are not always familiar with lectionaries. People ask me, What is a lectionary and where can I find one? Well, a lectionary is just a set of Bible passages divided up for daily reading. 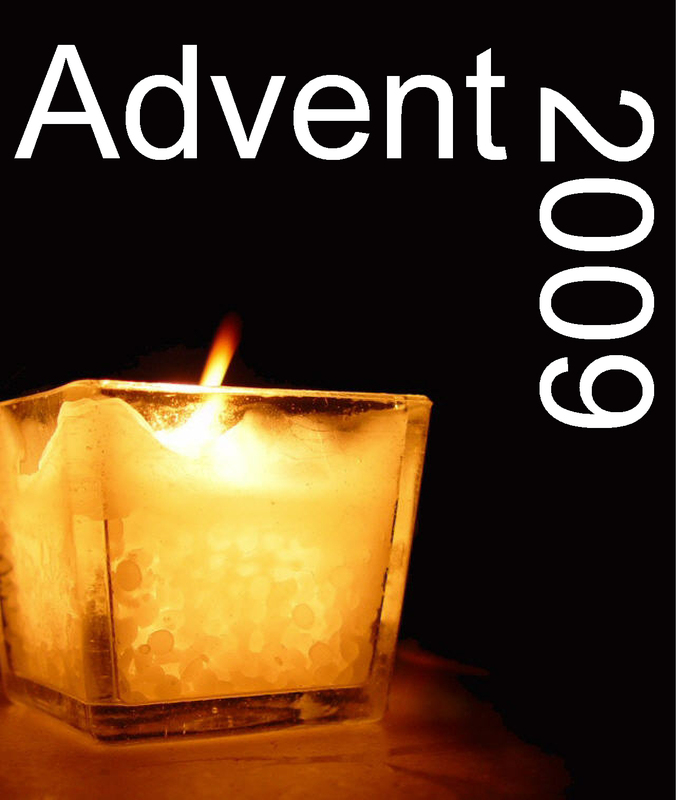 During Advent we will be using the Common Worship Morning Prayer Lectionary produced by the Church of England. The readings can be found in full and in the context of a Morning Prayer liturgy here (click on Common Worship: Today). 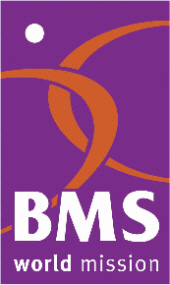 Lectionary booklets are widely available. You can order one on the internet but I always buy mine from St Deny’s Bookshop, Manchester. The Advent season begins today. We will celebrate this at Didsbury Baptist Church by lighting advent candles, by giving to Christian Aid and praying for its work on behalf of the world’s poor, and by reflecting on the coming of Christ as light into darkness. As we await Christmas, we await the full and perfect coming of God’s reign and we ask how we might now live so as to make a difference for good in the world today. We will pick up on Advent themes during our Sunday morning worship and we will hold three Wednesday evening gatherings on the 2nd, 9th and 16th December. We will serve tea and coffee at 7.30 for a formal beginning at 8. In the first of the sessions, I will introduce the Gospel of Luke (this year’s lectionary Gospel). Next week Brian Haymes will address the theme, On Being the Church, Beginning with God and on the 16th Kyle Gingerich Hiebert will help us to think about our spending at Christmas time. If you are in the Manchester area, you would be very welcome to join us. I hope that during Advent many of us at DBC will read the Bible together by using the readings of the Common Worship Morning Prayer Lectionary. I invite others who visit this website to read with us. I will post the readings here every weekday morning of Advent with a few of my thoughts on the readings. Perhaps you would read the same passages and offer your thoughts by adding your comments to the daily post. I will start tomorrow and I look forward to hearing from you. One of the great features of our church building at Didsbury Baptist Church is the acoustics. It makes a great music venue. 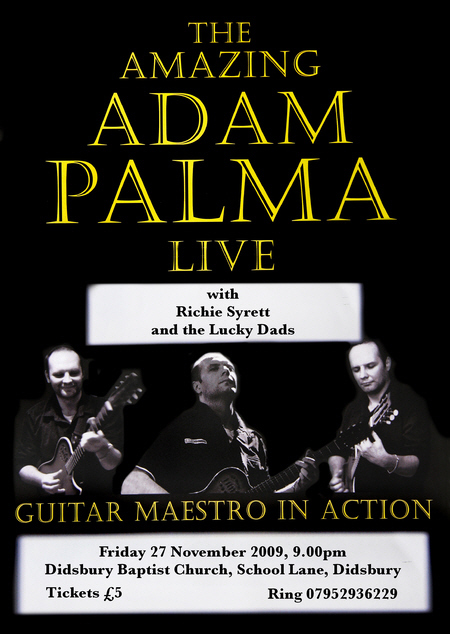 On Friday 27 November at 9pm there will be a concert by guitar soloist, Adam Palmer (with Richie Syrett and the Lucky Dads). The concert is organized by Mike Healey and tickets are available from 07952936229.